The TreadReader from Hofmann Megaplan is a handheld tool that gives an instant 3D image of the tyre, indicating tread depth and adverse wear. 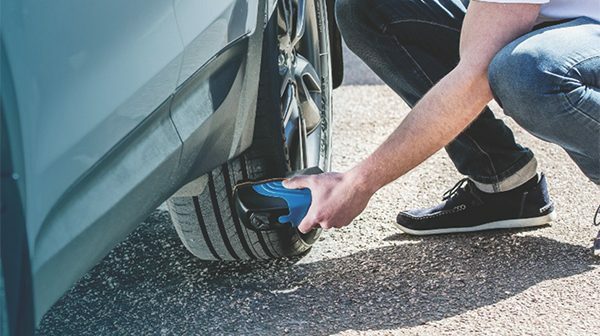 Mis- alignment or uneven wear due to under or over-inflation is also displayed, providing evidence to the vehicle owner on the condition of their tyres and the recommended solution. “There is something about human nature that makes many of us naturally suspicious when someone tells you that you have to spend money,” says James Boon, the company’s EVP of Garage Equipment, but the tool gives the customer a real appraisal in a color-coded and numbered format which is easy to understand. The unit itself is lightweight and requires a few seconds to run over all 4 tyres for instant upload to a smart phone or tablet via the TreadReaderTM App, which can then be converted into a printout or emailable document. 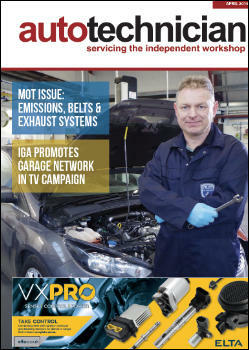 Performing automated measurement of tyres isn’t new but James feels the price has made it inaccessible to the average garage – “Drive-over units are great, but they are expensive and impractical for the majority of workshops”, continues James. “In essence, we are offering all the technological supremacy of a drive-over system, in a handheld unit, at a sensible and one-off cost”. Unlike traditional dip-gauges or laser systems this takes a full width, 50mm circumference section of the tyre, monitoring 320,000 points of reference, which is said to ensure obstacles such as debris or even the tread wear indicator cannot confuse the reading.